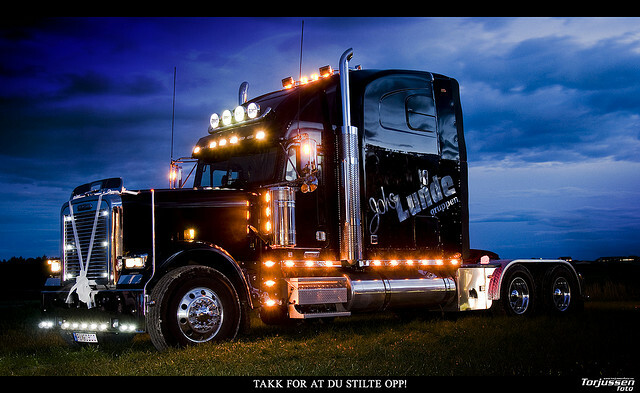 LED light bars are an increasingly important accessory for any truck, whether used for work, pleasure or both. They are perfect for brightening dark trails, spotting game or illuminating a work site. They come in a wide variety of shapes, sizes, brightness, colors, beam configurations and build qualities. This brief guide helps you evaluate the best LED light bars for trucks from the best manufacturers. Mini light bars or LED light pods contain four to eight LEDs and find use as fog lamps, side lights, spotting lights or portable work lights. Low-profile light bars between six to 20 inches in length have a single row of LEDs. These mount in a truck grill or below the bumper. Full-size light bars from 20 to 60 inches long may have one, two or four rows of LEDs arranged in a rectangular pattern. These use the most power and require sturdy mounts. Off-road light bars can be any of the above. They are built to withstand extreme shocks, vibration and harsh environmental conditions. Beam configuration – Light bars come in spot beams, flood beams, combo beams and diffuse beams. The combo beams combine spot and flood functions. Beam widths are measured in degrees. Brightness – Effective lumens is the most accurate measurement of brightness. If a manufacturer rates their light bar in raw lumens, multiply the figure by 0.8 for comparison. Light efficiency – This is measured as lumens per Watt. In general, higher lm/W indicates higher LED quality. Color temperature – Temperatures near 5000K render colors at night most accurately. Light of 6000K appears as blue-white light. It seems brighter but induces eye fatigue. Intrusion protection – IP ratings measure an LED light bar’s resistance to dust and moisture. Typical ratings are from IP65 to IP69K. Most LED light bars for trucks have an IP68 rating. Input voltage – The best LED light bars for trucks work within a wide voltage range. A typical range is 9-30VDC. Here are four important areas for evaluating the quality of the best off road LED light bars. Heat is the number one enemy of LEDs. Too much heat reduces LED lifespan by up to 90 percent. The causes of excessive heat are improper heat dissipation and overdriving LEDs with too much current. Are the heat sinks large, well-finned and made of aluminum that is integrated into the housing? Do the circuit boards use a copper core for additional heat dissipation? Is the airflow adequate within the housing to reduce heat? As the input voltage changes, do the LEDs brighten or dim? If so, this indicates cheap LED drivers. The best light bars come with a long, low-gauge wiring harness that includes a relay, fuse holder, heavy-duty switch and waterproof/dust proof connectors. Mounting brackets should be adjustable and made from stainless steel. They must be designed to damp out vibration even on rough trails. Top-tier LED light bar makers offer lifetime warranties or at least warranties over 10 years. Understand exactly what the warranty covers. Vision X is a top-tier manufacturer of the best off road LED light bars on the market. They have a large catalog of light bars for every application. Their light bars are used by NASA and the U.S. Border Patrol. The Vision X Xmitter Low Profile Xtreme is one example of their exceptionally well-built light bars. It is a low-profile, single-row light bar that comes in eight lengths from 4 to 50 inches. It uses the highest quality 5W LEDs available that output nearly 500 effective lumens each. Their Pulse Width Management LED drivers are the best in the industry and even allow an external dimmer control. The Xmitter Xtreme utilizes both electronic and mechanical thermal management for maximum LED life and brightness. These light bars are available in beam widths of 10- or 40-degree beam widths with exceptional forward penetration. Although cheaper truck LED light bars may appear on the surface to be equal to top-tier products, they often skimp on one part or another of the total package. For long life and efficiency, all the components of an LED light bar work together and deficiencies in one component put pressure on the remaining parts. Light bars that build-in quality throughout cost more but represent the best value.